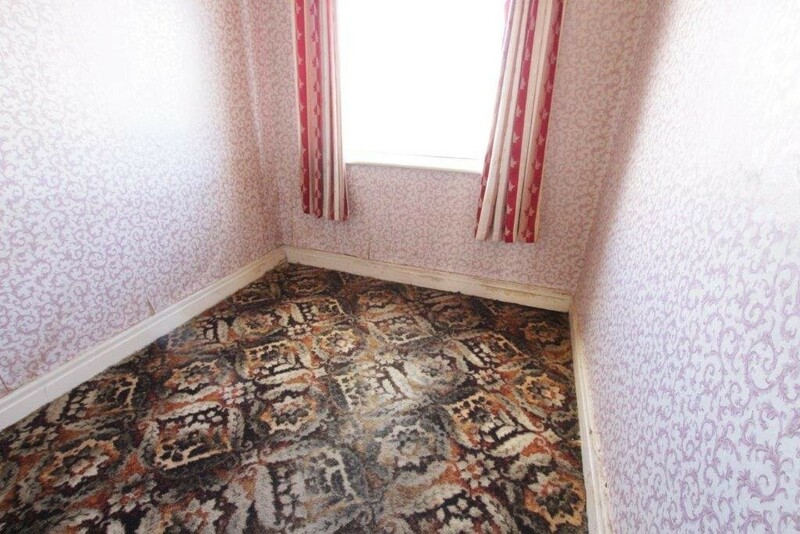 FOR SALE BY MODERN METHOD OF AUCTION, T'S & C'S APPLY. 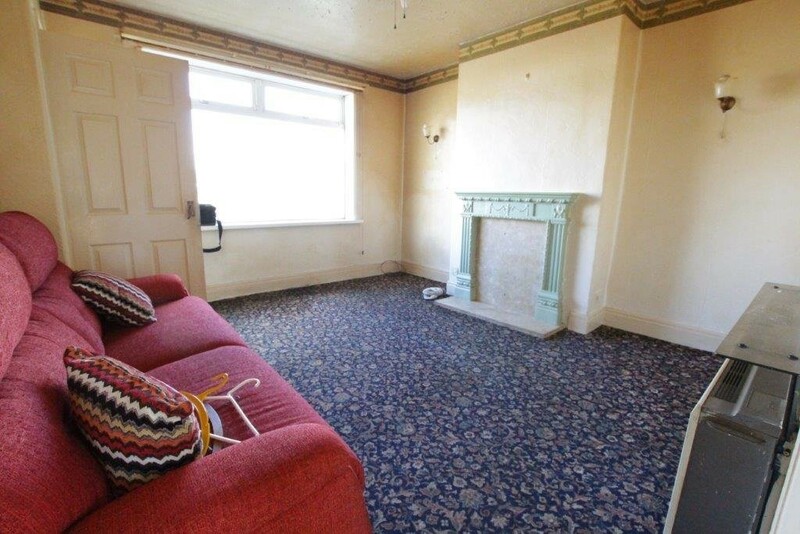 End terraced property in need of full refurbishment set on a spacious corner plot. Situated in a quiet cul-de-sac location, conveniently placed for Birstall village amenities, retail and leisure outlets, the motorway network and Oakwell Hall Country Park. The property benefits from uPVC double glazing and electric wall heaters. 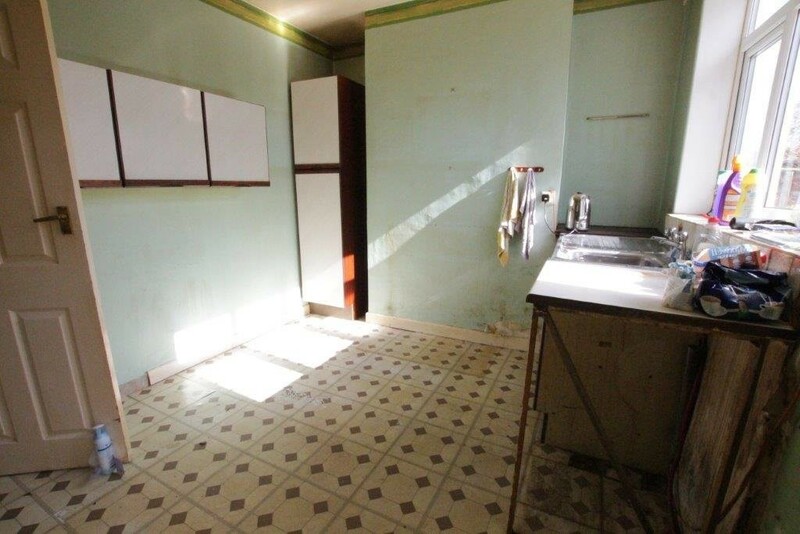 The accommodation briefly comprises: entrance hall, lounge, kitchen, rear porch, three bedrooms and bathroom. 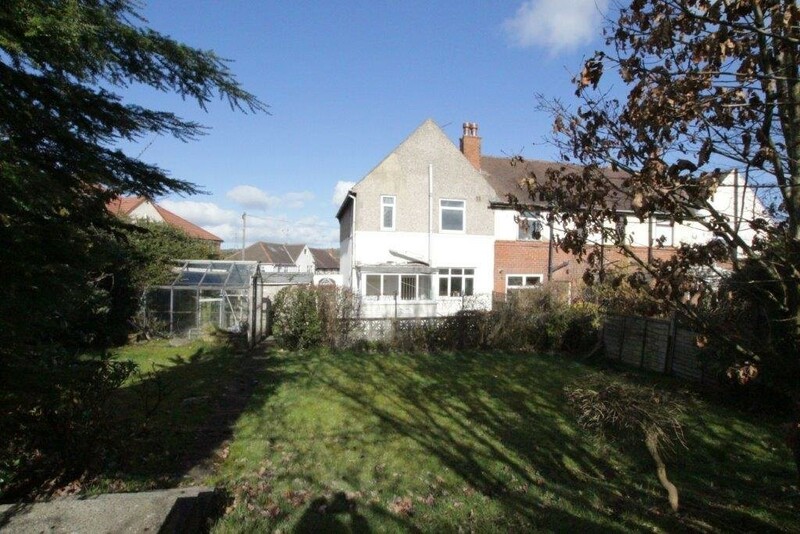 Externally there is a driveway, garage and good sized rear garden. ENTRANCE HALL A uPVC door leads into the entrance hall. LOUNGE 13' 11" x 13' 5" (4.24m x 4.09m) Adam style fire place. KITCHEN 13' 5" x 9' 10" (4.09m x 3m) With fitted wall and base units and inset sink. Useful pantry/utility with window. REAR PORCH Access to rear garden via uPVC door. BEDROOM ONE 13' 7" x 8' 10" (4.14m x 2.69m) Fitted wardrobes to one wall. 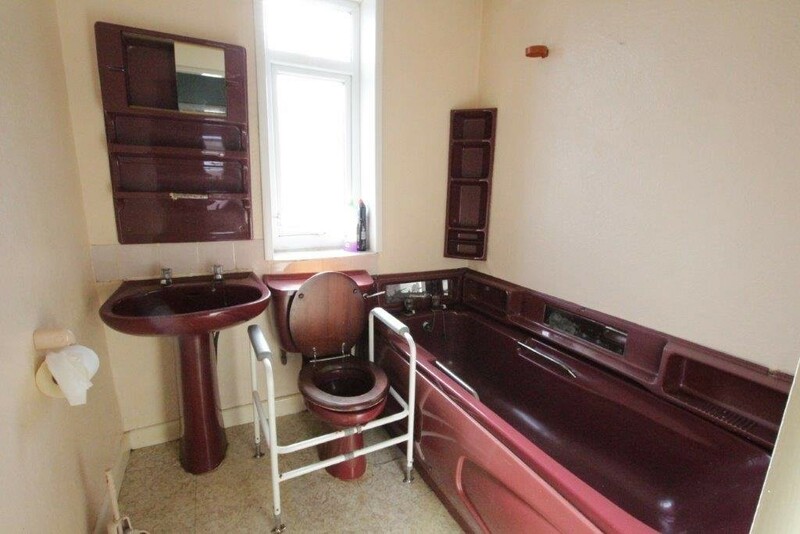 BATHROOM Contains a three piece coloured suite comprising of bath, low flush WC and wash hand basin. 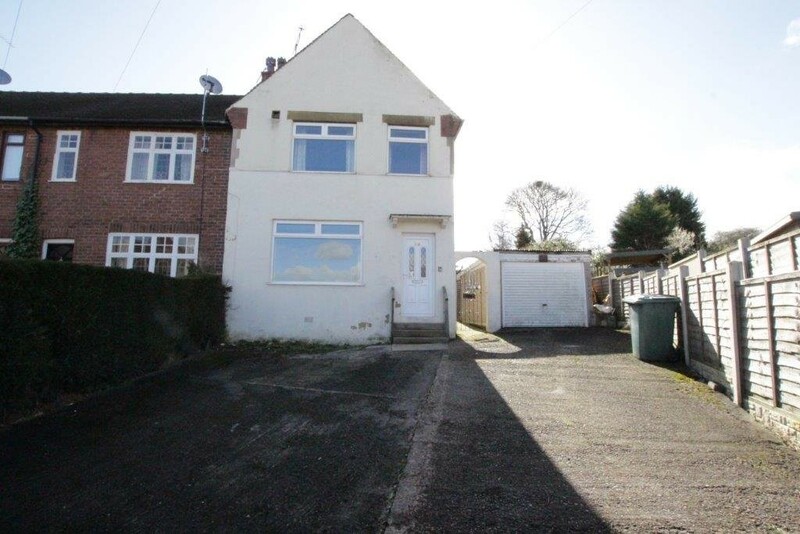 EXTERNAL To the front of the property is a tarmac driveway providing private parking for two vehicles which leads to a single garage. 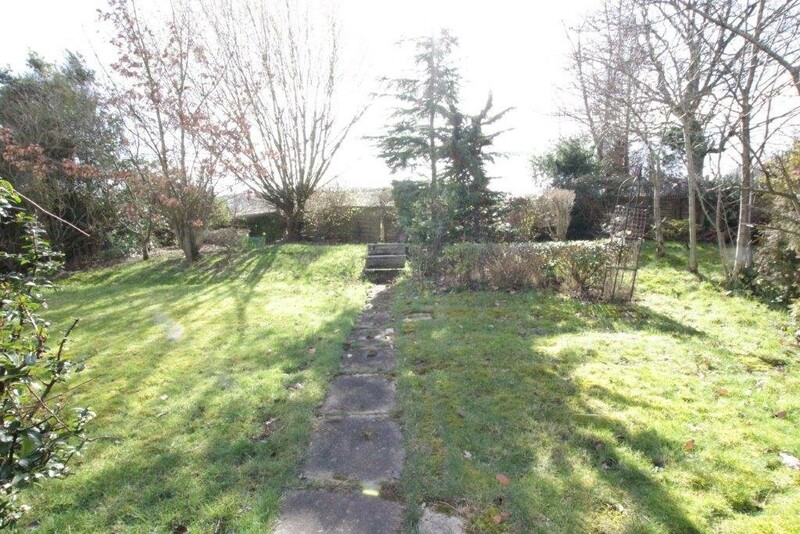 There is a good sized garden to the rear comprising of lawn and a selection of mature trees and shrubs. DIRECTIONS From our Birstall office travel right on Low Lane and follow the road round to the end. Turn right into Bradford Road then left into Monk Ings Avenue where the property will be easily identified by our For Sale board. AUCTION DETAILS This property is for sale by the Modern Method of Auction which is not to be confused with traditional auction. The Modern Method of Auction is a flexible buyer friendly method of purchase. We do not require the purchaser to exchange contracts immediately, however from the date the Draft Contract is received by the buyers solicitor, the buyer is given 56 days in which to complete the transaction, with the aim being to exchange contracts within the first 28 days. Allowing the additional time to exchange on the property means interested parties can proceed with traditional residential finance. Upon close of a successful auction or if the vendor accepts an offer during the auction, the buyer will be required to make payment of a non-refundable Reservation Fee of 4.2% to a minimum of £6,000 including VAT 4.2% of the final agreed sale price including VAT. 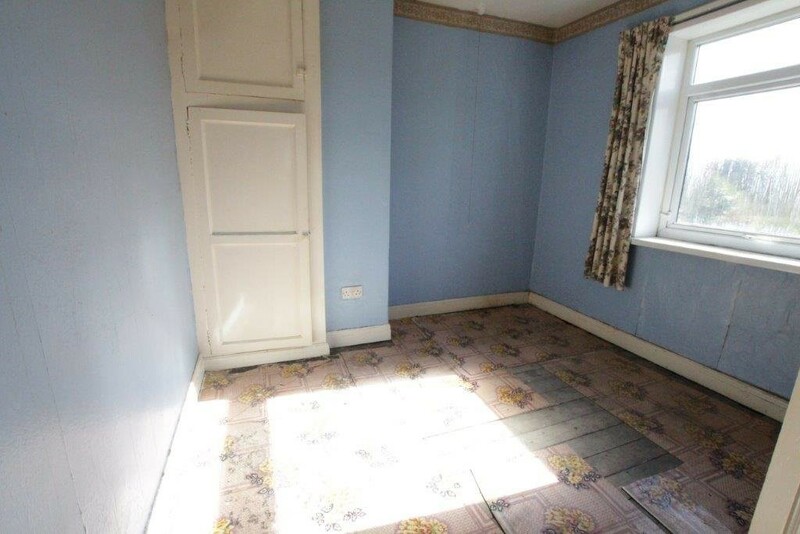 This is subject to a minimum payment of £6,000 including VAT. which secures the transaction and takes the property off the market. Fees paid to the Auctioneer may be considered as part of the chargeable consideration for the property and be included in the calculation for stamp duty liability. Further clarification on this must be sought from your legal representative. The buyer will be required to sign an Acknowledgement of Reservation form to confirm acceptance of terms prior to solicitors being instructed. Copies of the Reservation from and all terms and conditions can be found in the Buyer Information Pack which can be downloaded for free from the auction section of our website or requested from our Auction Department. 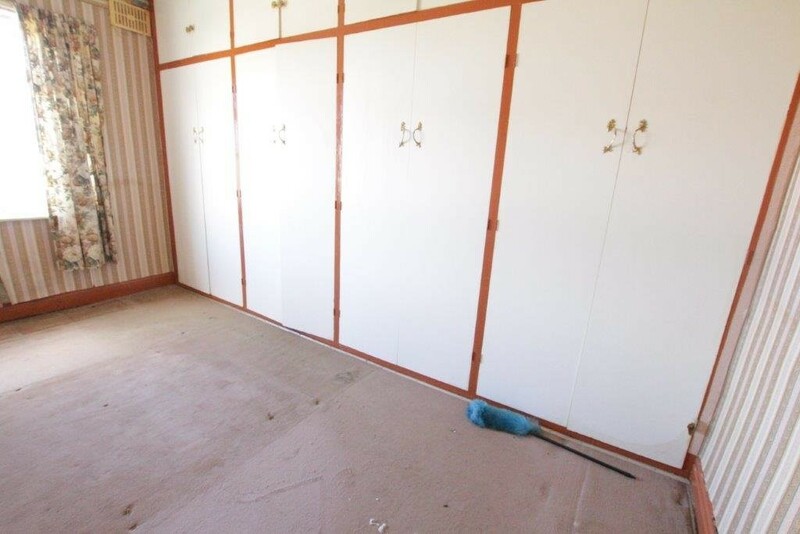 Please note this property is subject to an undisclosed reserve price which is generally no more than 10% in excess of the Starting Bid, both the Starting Bid and reserve price can be subject to change. 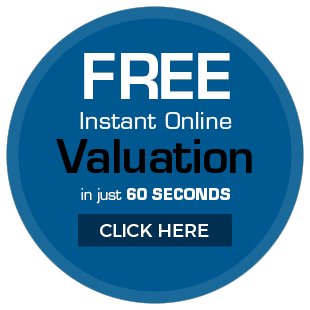 Terms and conditions apply to the Modern Method of Auction, which is operated by West Yorkshire Property Auction powered by IAM Sold. Reservation Fee is in addition to the final negotiated selling price.